We find ourselves in a time of social and cultural upheaval, where "hidden things are coming to light" and movements like #MeToo, #BlackLivesMatter, #IdleNoMore and LGBTQ equality are challenging traditional power structures and ways of thinking. In such seasons, it is easy to polarize along lines of "us and them" and treat people with different views as adversaries. Unfortunately, churches sometimes follow suit and pursue holiness through hostility. What if there is another way? A way that listens and loves, even in the face of disagreement? As followers of Jesus, we believe this is time of great opportunity for the Kingdom to break in and turn our world upside right. 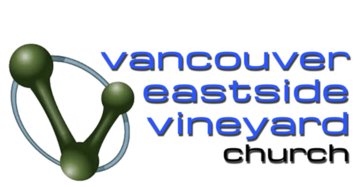 Within our Vineyard community in Atlantic Canada we have a diversity of ages, economic status, gender, ethnicity, sexuality, theology, politics and everything in between. We want to explore together what it means to practise the fruit of the Spirit across dividing lines. We believe this is best done not by dictating policies or positions, but coming together to converse about "what seems good to us and to the Holy Spirit." We want to wrestle with ideas of loving across our differences, whether that be church to church or the person one row over on a Sunday morning. Part of learning to listen is learning to give marginalized people in our midst a voice. What does it mean to really hear our Indigenous and African Canadian voices? What are the personal stories of gay and lesbian believers in our congregations? Can we ask women if in the Vineyard we have been as egalitarian as we think we are, and listen to the answer without offence? Can we ask people of diverse backgrounds if we have allowed them to be "part of the family" as they are, without pressure to conform? We would like to pursue honest, healthy conversations around these themes. David Moore, a pastor, educator and adjunct faculty member at St. Stephen's University, will be in the Maritimes in February and we have invited him to help guide these conversations. The regional team hopes this will be a helpful jump-off point to encourage dialogue and learn how to model love—the Jesus way. Hey Chad, I'm struggling, and maybe you can help me. I've been a Canadian Vineyard person for 30 years, serving in lots of different ways, but I just read Peter Fitch's book and my heart is broken. I'm starting to feel like I just can't trust any of the people who lead our movement anymore. I find Peter's book outrageous, mostly because it is so shallow. It's hard to believe that it is the work of an academic. Here are a couple of points to which I need an answer: 1) What do 'we' believe constitutes healthy sexuality? The physician (Yes, I know that Jesus is the true Physician) surely should have some idea about what he is aiming for; I know that your whole point here is that 'we' might arrive at this through dialogue, but is there going to be any consideration for the traditional definition of chastity? 2) Do 'we' have any sense of duty or obligation to the historical church, or are 'we' just going to make up our minds about ethical issues as though nothing that has happened in the long history of our faith has any relevance to us? I know that when you're initiating a 'dialogue' such as you have framed here, you have to take the position of a 'neutral,' but no one enters a 'dialogue' without some hope for the outcome. What are you hoping for?